110: I’m proud of you. Now might be a good time to remind everyone that Gabry got hit by a van relatively recently. Avery doesn’t have super strength or anything. Also I might kinda sorta be considering doing a donation pool again. The comic would still update normally but I’d do a double update maybe every $100 or so. Do you guys like the idea? Would any of you donate? I’ll admit, I’ve been slacking on donating since it no longer pushes out pages. A double update with regular updates would be nice! Think I’ll toss down $5 out of guilt though! 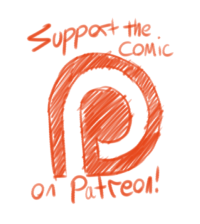 Since I don’t think it’s said enough, thanks for pushing out a (Theoretically free ;)) webcomic! Totally in for double updates. I’ll toss what I can when I can. Are you going to add a donation bar to keep track? 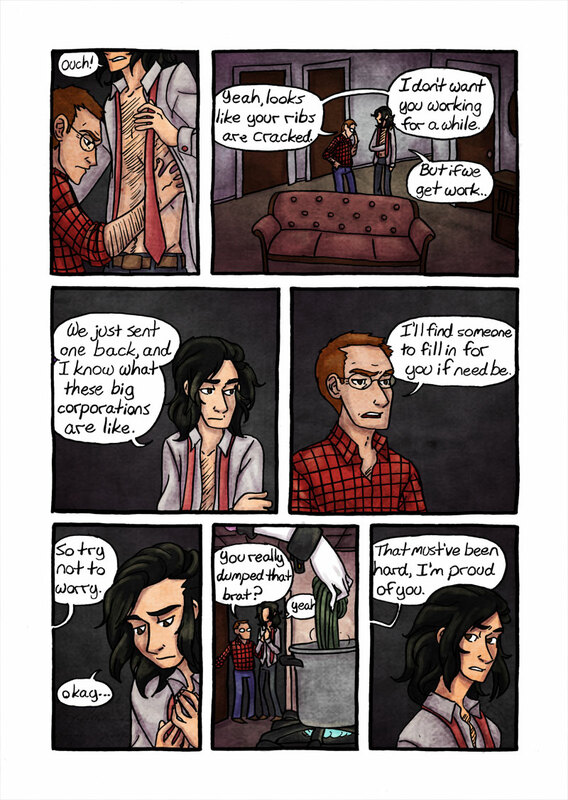 Also, can I just say that Gabry’s hair looks beautiful on this page for some reason, especially in panel five? Ugh, wonderful work again. You know, I would love to have Gabry’s hair. It’s so flowy and lovely!